All year long there are lots of different races and regattas going on and Gunboats are participating very successful all over the globe. At this time of the year the races in the Caribbean are very popular. As racing is that much fun and these full carbon fiber catamarans are fast cruising yacht but also great racers, they have their own “Gunboat class” at the Heineken Regatta in St. Martin, FWI but they are also winning the multihull classes in other regattas. 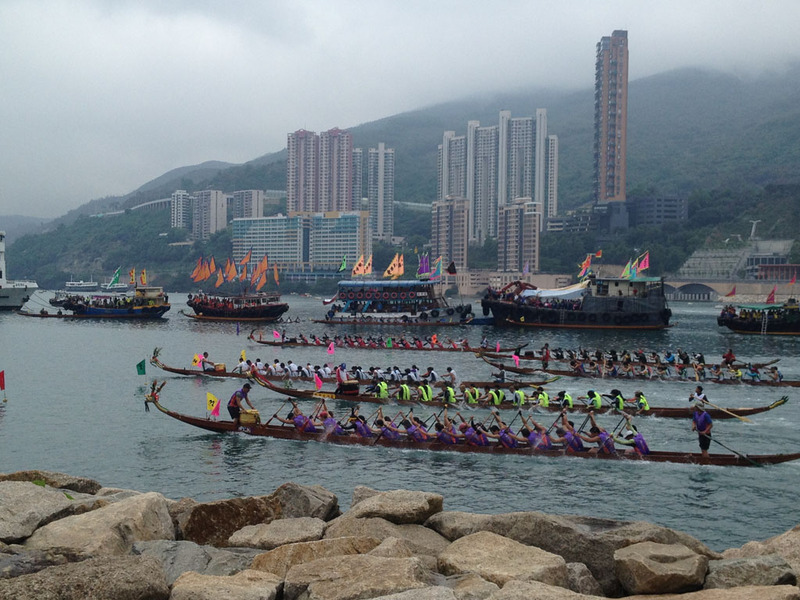 As we are in Asia and I want to share a different type of boat races with you. 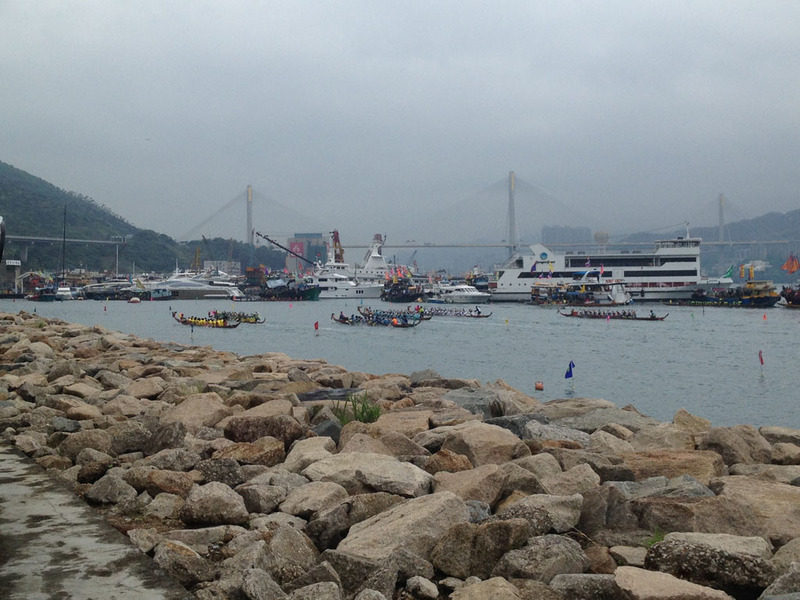 We had a great view at the Dragon Boat race taking place at Tsing Yi, Hong Kong the other day. The race took place just in front of the little marina we were moored up. 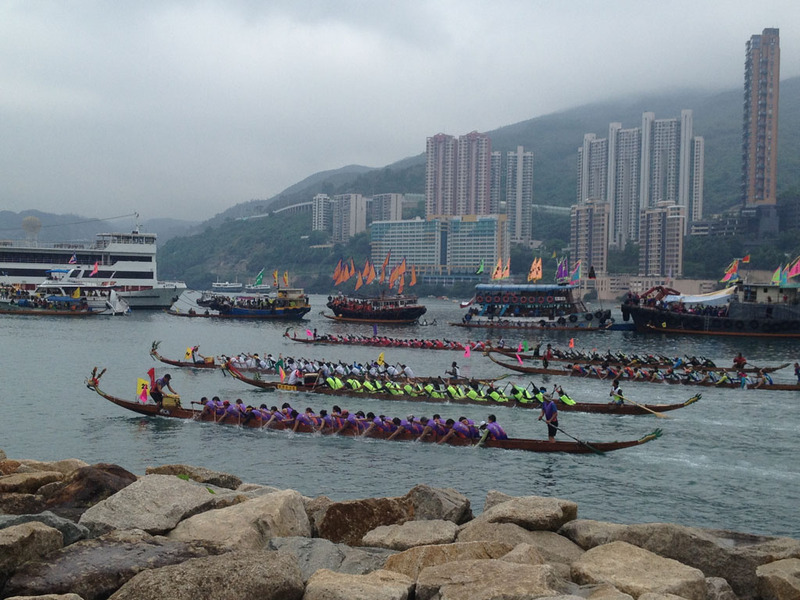 The races were pretty impressive, more than 10 teams participated. 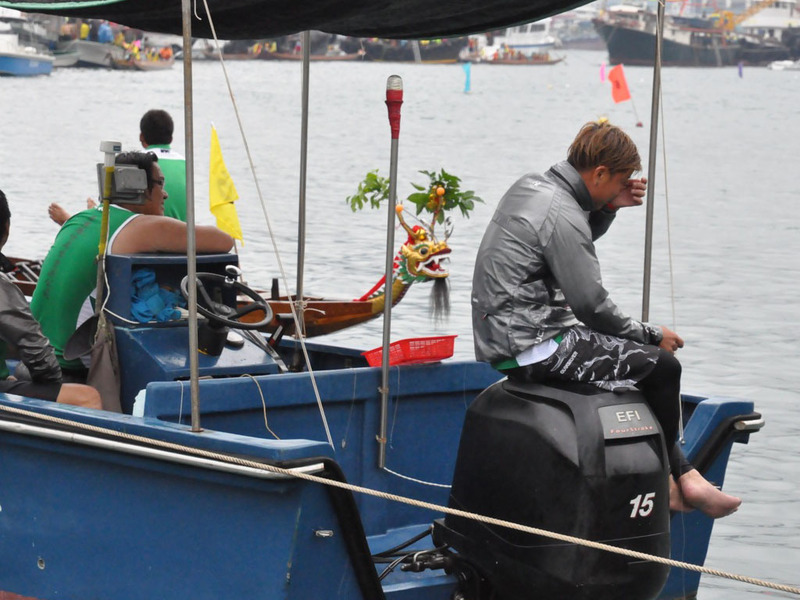 Compared to Sailing boat races – no wind and waves are welcome as this boats are low on the water. These light boats are made out of wood and a dragon covers the bow sprit. 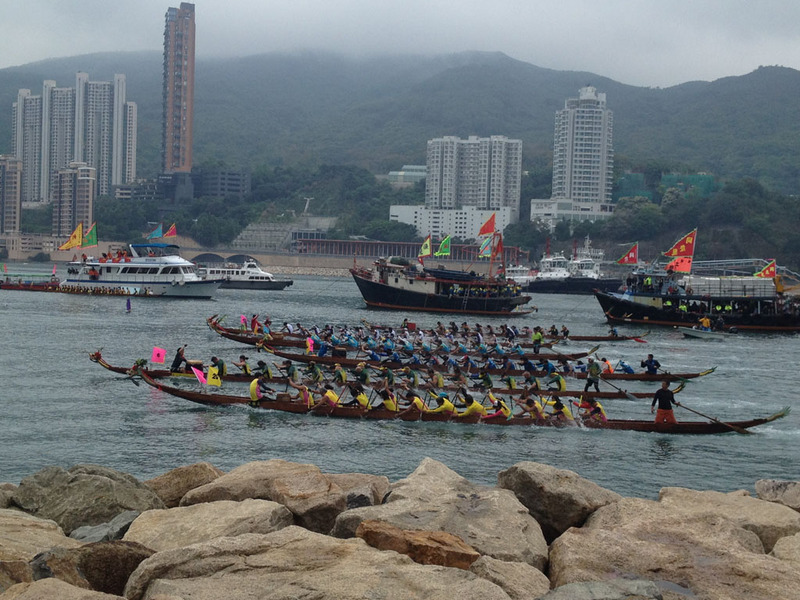 The dragon boat races are a great example of teamwork – 24 men rowing to the drumbeat of the drummer at the bow, one helmsman with a “paddle” as tiller/rudder at the stern. Only if they have the perfect common rowing rhythm they are going to be faster than the competitors. I have noticed that the roles on the dragon boat are similar to a well trained regatta team – one part of the team is busy with sail handling, the navigator/captain gives verbal or hand sign orders like the drummer the beat and the helmsman takes care of the direction, same job as on the dragon bot just the rudder systems are most of the time more sophisticated on a modern racing yacht.